Panaji: Early local lore tells of the Ranes as feared Maratha raiders, who would ride into erstwhile Goa and plunder wealth from the region's wealthy folks. In contemporary times, the Congress over the last two days, must have felt the heat of yet another raid — to be more specific by a descendant of one of the several Rane clans — Health Minister Vishwajit Rane, who has claimed credit for the switch-over of two Congress MLAs into the BJP's pocket. Now-former MLAs, Subhash Shirodkar and Dayanand Sopte on Tuesday, joined the BJP at a formal ceremony in the national capital, putting not just the Congress in a tight spot, but also BJP's allies Goa Forward and Maharashtrawadi Gomantak Party. The switch-over has left the Congress and the BJP tied at 14 legislators each, with the Congress no longer in a position to claim the single largest party (in the state Assembly) status and exercise their privilege before the Governor to stake claim to form a government. 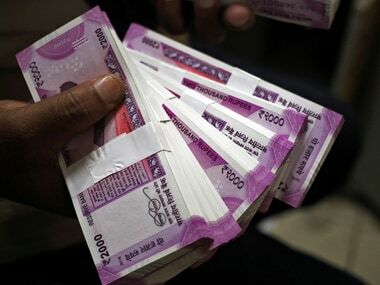 It also leaves the ruling allies Goa Forward and Maharashtrawadi Gomantak Party, some of whose members were flirting with the Congress with a toppling game in mind, with very little room to manouvre, especially now after the BJP's central and state leadership have threatened them with the dissolution of the state Assembly. "He (Vishwajit) must have told the BJP High Command, that he will get two Congress MLAs, so make him Chief Minister," Congress secretary A. Chellakumar said on Tuesday. Rane, a three time MLA (twice on a Congress ticket) insists it is his mission to demolish the Congress in Goa. 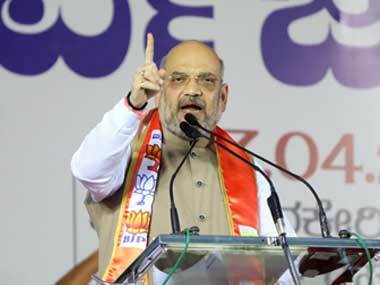 "I will demolish the Congress party. They will be reduced to 10 by Christmas-New Year. Save your flock. That is my message to Rahul Gandhi. 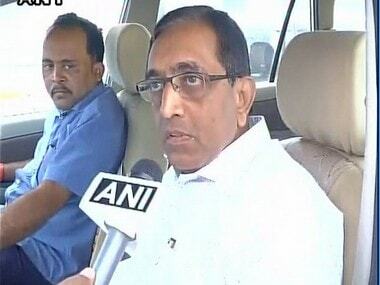 Leaders in the Congress are tired of Rahul Gandhi," Rane told IANS. When asked about chief ministerial ambitions, the Health Minister, opted for a more humbler approach. "I am just a partyman who wants to keep doing the work given to him. I personally harbour no such ambition," he said. The son of former four-time Congress Chief Mminister Pratapsingh Rane, a new entrant to the BJP — Vishwajit Rane resigned as Congress MLA after the 2017 Assembly polls to join the BJP. 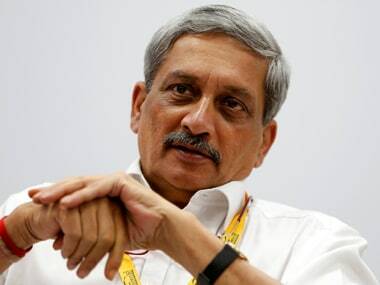 He has shared the perks of power during the BJP's first stint in power with Parrikar at the helm two decades back. 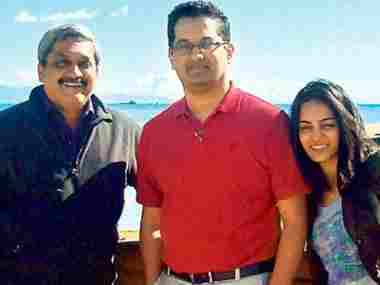 While the Health Minister's father was a Congress MLA and Speaker, who shared a healthy working relationship with Parrikar, the latter had appointed Vishwajit Rane as head of a government corporation much to the chagrin of the Congress leadership in Goa. While he was a part of the Congress, however, Vishwajit Rane's outspokenness, his penchant for the dramatic and constant threats to the party's leadership about contesting assembly elections as an independent rather than on a Congress ticket, has more often than not peeved his peer as well as seniors within the party. Despite the fact, that he is one of the few MLAs confident of winning his bastion of Valpoi, and the growing anti-government sentiment in recent times, a large chunk of the state BJP leadership is wary of what he could bring to the table. "He is a man in too much hurry and cannot lead a cluster of MLAs. He can win his constituency without any party support, but that does not mean he is necessarily a team player. "He has always got his way around Congress leadership because of his father's reach in the party. Can he function in a more disciplined, structured organisation like ours?" a senior BJP leader said on condition of anonymity. Caste calculations also appear to bear against Rane's shot at the top post. While the Parrikar regime's appeasement of the Brahmin community has stoked mass dissent against the ruling set-up, Rane's Maratha roots may not bear much advantage, considering that the BJP needs to woo back the Bhandari (non Brahmin, non Maratha caste grouping) voters ahead of the Lok Sabha polls, if not a mid-term poll, which is also an option on the BJP's table. His 'raid' exploits apart, the newcomer tag could also serve as a deterrent for Rane's chances, as members of the BJP's state core committee have gone on record, that the party needs a chief ministerial candidate who has solid BJP credentials. Party sources said, that Rane is up against Union Minister of State for AYUSH Shripad Naik, state BJP president Vinay Tendulkar and Speaker Pramod Sawant for the Chief Minister's post.